I admit, I am a sucker for lists, esp. 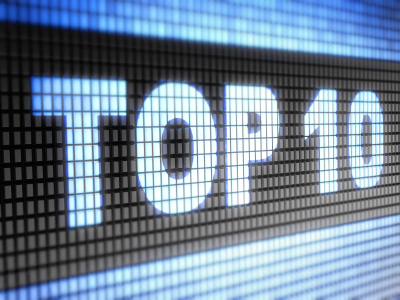 Top Ten Lists, and a few days ago, sat through a half hour of “local news” wherein the anchors breathlessly related the Top Ten Rhode Island News Stories of 2012. Well, readers, you deserve no less that my Top Ten List of IP “Stories” that broke, sometimes over us, in 2012. So that this post is not endless, I will write it from very abbreviated notes and leave it to you to dig the details out of the patents4life archives – or to just back up through the posts of 2012. Also, past Prometheus and Myriad, the list does not mean to prioritize the events reported. 1. Prometheus v. Mayo – Just what is patentable subject matter? In March, a unanimous Supreme Court held that Prometheus’ claims to a method for optimizing an immunosuppressive drug treatment were not patent-eligible, but were rather an attempt by crafty drafters to monopolize a natural law. Later in the year, in Intema, the Fed. Cir. invalidated a prenatal diagnostic test based on measuring biomarkers, relying on Prometheus, leaving prep/pros practitioners everywhere wondering just what sort of diagnostic assays can be patented – or more precisely, if any diagnostic assays can be patented. Just ten years ago, in a 6-2 decision, the Court (with Breyer and Stevens dissenting) held that plants could be the subject of utility patents. This time Justice Breyer wrote for a united Court. 2. Supreme Court to decide if “human genes are patentable.” In December, the Court granted cert. on AMP’s appeal of a Fed. Cir. panel that twice found that a purified, isolated human gene was patent eligible under s. 101. The amicus briefs will surely be piling up like snow drifts in Minnesota, but two questions immediately arise: (1) What is a “human gene”? and (2) Why “human genes”? If “human genes” include any compound that consists of a stretch of bases – or base pairs – that correspond to a stretch occurring in vivo, a chunk of the biotech industry will be shut down. On the other hand, claims to isolated full-length human genes have always been relatively uncommon. As to the second point, if an isolated, purified human gene is not patent-eligible because it is a natural product, why should any “gene” be patentable, e.g., a plant gene, or an animal gene, or a bacterial gene? And why did the Court even take this appeal? It may be dicta, but the Chakrabarty Court put it just right in 1980: “The relevant distinction is not between living and non-living, but between products of nature…and human-made inventions.” 447 U.S. at 313. 3. The Fed. Cir. Myriad panel decisions that ruled that a diagnostic assay that could predict a woman’s predisposition for breast cancer based on the presence of mutations based on detecting mutations in a subject’s BRCA1 DNA sequence was patent-ineligible as an abstract idea. This is the worst-reasoned Fed. Cir. decision of the year, if not the decade, particularly since it lumped a clear, precise diagnostic claim together with claims that recited no more than “comparing” two sequences. Judge Rader started the “abstract idea” movement in Bilski but Judge Lourie picked it up and “ran” in the wrong direction – and just as the use of genetic markers to design drug treatments or to predict future maladies is coming of age. 4. The AIA is mostly “activated” by pages of new regulations. One of the best places to follow AIA developments is via www.americainventsact.com, so I will say no more. 5. In November, David Kappos announces that he will step down as PTO Director in late January of 2013. Certainly the hardest working and creative Director since I got my reg. no. Too bad that even he could not dent the backlog of unexamined applications or a pipeline filled with over a million applications in various stages of examination. 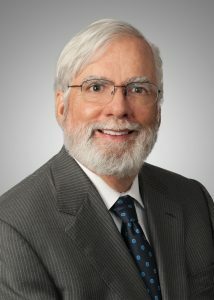 Terry Rea, an experienced biotech/pharma prosecutor – and past AIPLA President – is poised to become acting Director. 6. The Supreme Court takes increasing interest in Hatch-Waxman disputes. Reverse payments are one high visibility issue, but who would have thought that the Court would take the time to rule that counterclaims by ANDA filers alleging that use codes submitted by NDA holders are overly broad are permissible (look it up in the patents4life archives). 7. The Fed. Cir. sends the Therasense decision into action. In a group of about seven panel decisions, only one patent was held unenforceable due to inequitable conduct (Aventis v Hospira). The panels much preferred to find that the failure to cite a reference – even one later shown to be “material” – was due to carelessness, inexperience, negligence, lack of supervision, miscommunication and the like, and not to purposeful conspiracy. In other words, if the defendants behaved like they were actors in a Keystone Cops flick instead of conducting orderly prosecution, they were not going to be found liable for IC. 8. Akami/McKesson: Direct infringement element of inducing infringement need not be carried out by a single actor – in fact, the defendant need be no more than an inciter. 10. The Affordable Health Care Act (“Obamacare”) survives in June. From a biotech standpoint, this is important since the first outline of the path to generic biologicals is within, and lots of effort has been expended, particularly by FDA mavens to develop the trail of breadcrumbs into a passable roadway for these increasingly important therapeutics. So there you have it, or some of it, and 2013 promises to be action-packed. Have a happy New Year, but be careful what you wish for! This entry was posted in Miscellaneous and tagged AIA, Bilski, biotechnology news, David Kappos, Federal Circuit, Myriad, Patent Law, Prometheus v. Mayo, Supreme Court, Therasense, USPTO, Warren Woessner. Bookmark the permalink. Thank you very much for keeping this very useful post going. Happy 2013. I look forward to continuing reading the very interesting stories from you. I really like how you describe WDR (“Make it or fake it”). Just like my 4 C’s of Paradigms: they must created, they must be challenged, and they must be confirmed (if still true) or changed (if no longer true).